Stop Calgary Foreclosure with One Click. | Download Your Free Report. Served with a Foreclosure Statement of Claim in the Calgary Area? Take Action Now and Stop Your Calgary Foreclosure. Through 15+ years of experience, we have developed and refined a number of successful strategies to help our clients stop foreclosures in Alberta. Once the Alberta foreclosure action has started, it can move through the courts very quickly. You should consult with us immediately after you are served with a Statement of Claim to maximize your opportunities. The Statement of Claim will set out the amount of money you owe to the lender, and ask the Court to enforce the mortgage and grant the lender the remedy needed to recover its debt. The lender will specify which remedy it wants to pursue. You Need to know how to respond to this and we are here to help you! Once an appraisal is ordered, then the lender will also file an Affidavit of Value that states the value of the mortgaged property. The value is estimated by a real estate appraiser who has examined the property. If you disagree with the value estimated by the appraiser you can get an appraisal of your own. If you refuse to let the real estate appraiser into your home, this will be noted in the Affidavit and they will typical perform a drive-by appraisal which will likely result in a value that is less than the current market value. You will have 20 days to reply to the Statement of Claim – make sure you download our report to determine what to do! The worst thing you can do is doing nothing, because if you do nothing, the lender will ask the Court for an Order Nisi, or an Order for sale. Again if you want to stop the foreclosure process in Alberta, then you need to call us and take action immediately ! Quick Fact: Did you know for example, the redemption period can be shortened to as little time as 1 day if the lender gets aggressive in the court process? What can you do to prevent this? You can Stop the Foreclosure Process in Alberta by calling our offices at 403-283-6777. By not taking the right actions quickly you can ultimately lose your home to foreclosure and destroy your credit and ability to borrow for years to come. 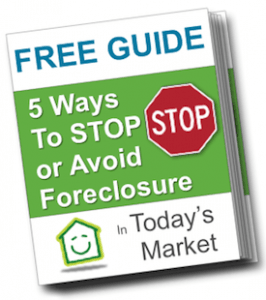 In foreclosures, each case is unique and many variables play a role in determining what options are available. The ultimate goal is to save your home from foreclosure with the least amount of financial damage. Questions that need to be answered include: How much are you current mortgage payments? When is the mortgage term due? Who is your current lender? What is your current income? Do you currently work? Can you prove stable income? Is your mortgage insured with CMHC? How much equity has built up in your home value? Have you refinanced ? Do have second mortgages or any other liens?